Superdry women’s Arctic hooded splice SD-Windcheater jacket. This essential outdoor jacket features a fleece lined body, adjustable bungee cord hood and double layer collar. 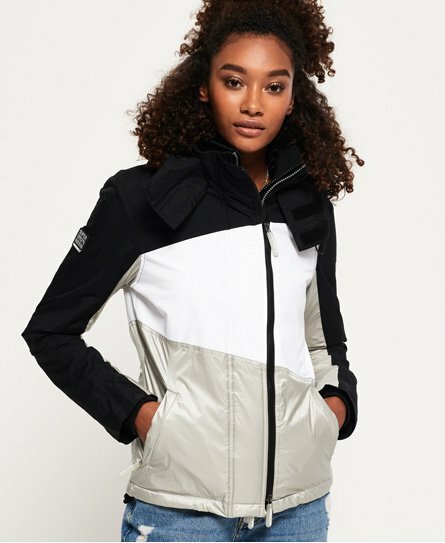 The jacket also features triple layer zip fastening, two zip fastened front pockets and one internal pocket with popper fastening. The Arctic hooded splice SD-Windcheater is finished with the Superdry logo embroidered on one sleeve, a logo badge on the other, and branded zip pulls.